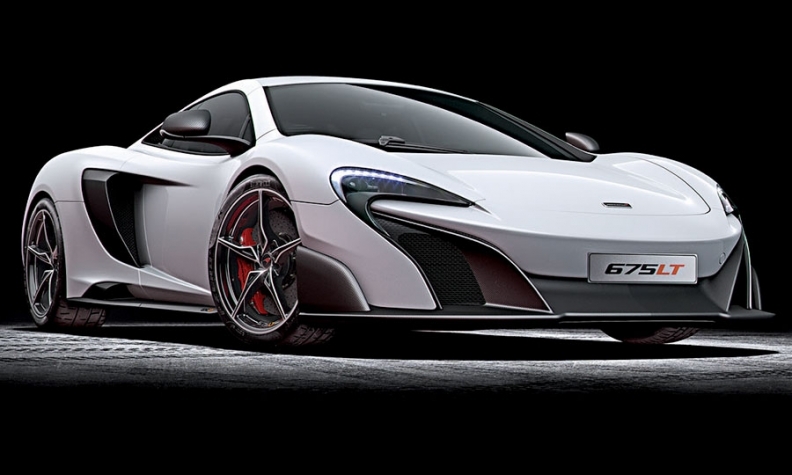 McLaren Automotive plans to unveil the 675LT, which zooms to 100 kph (62 mph) in just 2.9 seconds and has a top speed of 205 mph, next week at the Geneva auto show. The sleek coupe is powered by a 3.8-liter twin-turbo V-8 rated at 666 hp and a seven-speed transmission. McLaren says it will offer the 2016 675LT through its 14 U.S. dealers starting in late July at a price higher than $300,000.